....just like POPPY, this features organza flowers. 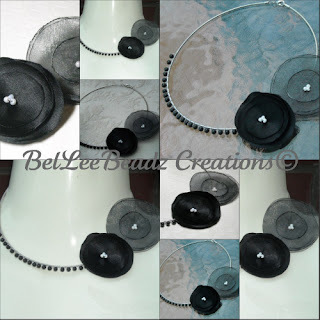 The silvery grey piece measures 2" across whilst the black is slightly smaller @ 1-3/4". Jet swarovski glass crystals and sterling silver wire used for coiling. Choker measures 5" in diameter.